The Chemical Injection Monitoring and Control System (SF-CIS) monitors, controls, and optimizes the chemical injection process to provide you with a known and measured chemical dosing rate and diagnostic information. 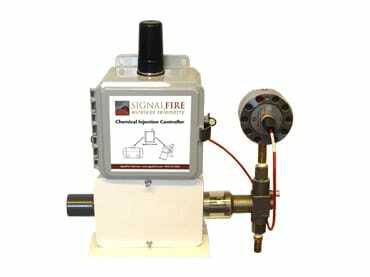 No longer do you need to rely on timed control and manpower to keep your chemical injection system running smoothly. The SF-CIS will integrate easily into your existing tank, pump, and electrical system.